ZooWhiz is curriculum based motivational learning program designed for children ages 5-15. Currently, there are over 150,000 users worldwide and the site contains more than 17,000 learning activities. The program covers maths, punctuation, spelling, grammar, vocabulary, word skills, phonics, phonemics and reading. ZooWhiz is currently in their second release stage and developing rapidly. New features are being added every couple weeks. There is a FREE version and PREMIUM version of ZooWhiz. 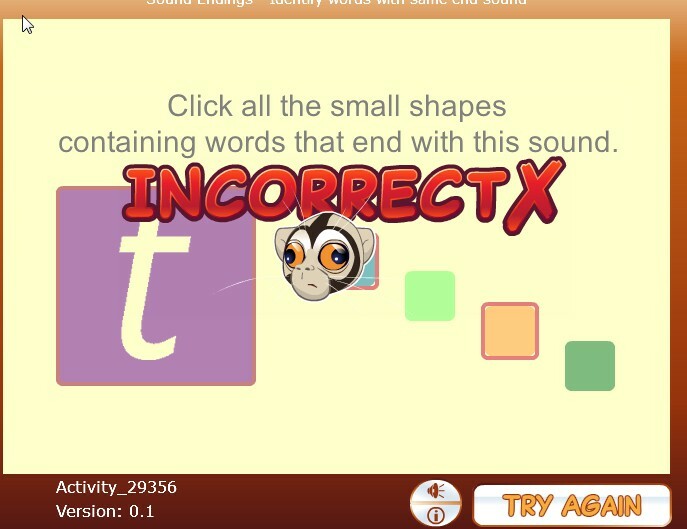 ZooWhiz is a fun yet educational online program great for both boys and girls. It is recommended for ages 5-15 years old but I would lower the max age to about 12 years old. I personally think the design is a little childish for most pre-teens. The program appeals to all learning styles and is very engaging. I was very excited that both children could utilize ZooWhiz. They both spent a few hours each week utilizing ZooWhiz as a supplement to our homeschool studies. 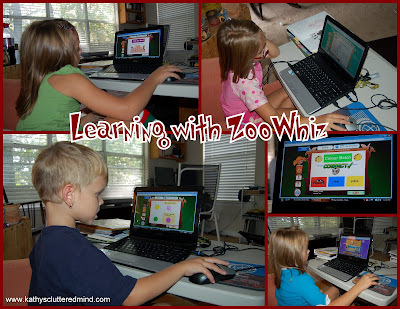 I would not use ZooWhiz as a full curriculum but is great as a fun incentive or addition to your current curriculum. The platform is easy to navigate and both kids could get around by themselves after being showed once. 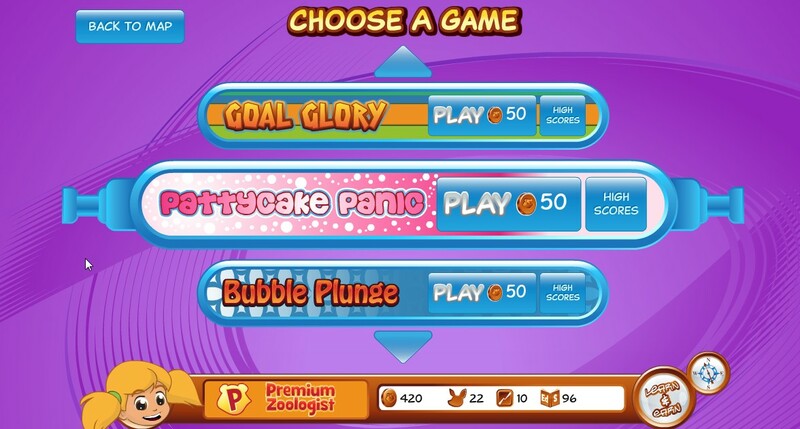 We reviewed the PREMIUM version of ZooWhiz. Are you ready for a breakdown as well as our thoughts about the program? This is the Main Menu, the first screen your children when see when they log in. There are 4 main areas: The Biodome, Learn & Earn, Arcade and Milestones (I will break these down further below). On the bottom of the Main Menu and other screens there is a brown and white dock bar. 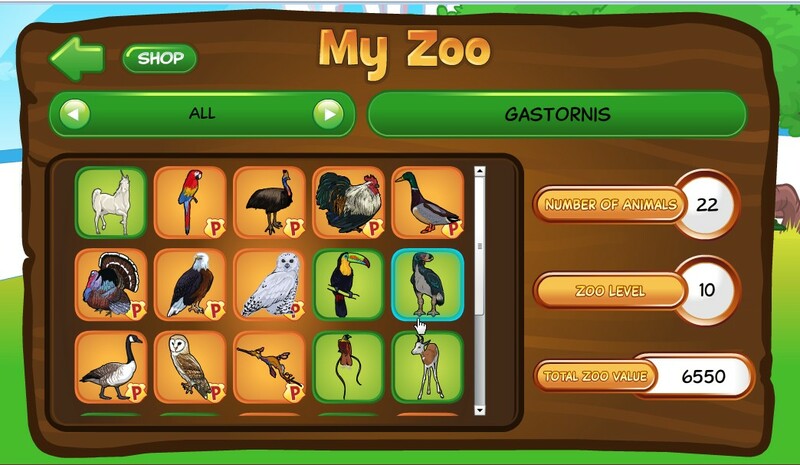 This bar shows children their avatar, coins earned, animals in their zoo, child's zoo level (which is calculated by ED S and number of animals owned) and their educational score (which is how many questions they have answered correctly). The item on this bar my children payed the most attention to was the coins of course. My daughter would go to the Biodome and pre-select the animals she wished to buy. Then she would ask me to add up how many coins she needed so she could go to the Learn and Earn section and get the coins needed to reach her goal. I love programs that provide this kind of positive motivation/reward system. There are 12 very cute avatars children can choose from. They are boys and girls and they are different shapes, sizes, skin colors, hair colors. Gwyn choose the little girl with blond hair and pigtails and Rowyn choose the boy with the green beanie cap and head phones. Children can change their avatar at anytime by simply clicking on their avatar head located on the brown and white bar at the bottom of the screen. My daughters favorite part was buying animals at the Biodome. She will go through and make a mental wishlist of the animals she wants to buy then go to the Learn and Earn section to earn more coins. 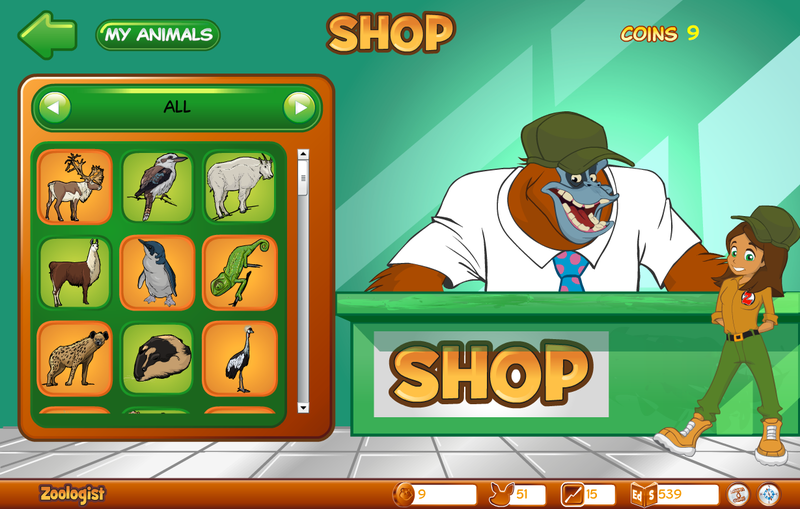 In the animal shop children can choose from a wide variety of animals. Children can view all the animals or break it down by habitats. There are grassland, ocean, tundra/polar, desert mountain, river/lake, domestic, dinosaur, rainforest, mythical, forest/woodland, marsh/swap, forest and extinct animals to choose from. After children select the animals they wish to buy (prices range from 100 coins - 5000 coins) the animals are added to their zoo. Children can then go to their zoo to view their animals and learn more about them. Children can also view on the right how many animals are in their zoo, their zoo level and their zoo value. I love that children can click on an animals to learn more about it. There are 5 tabs which show info, habitat, details, diet, and threat. Gwyn really enjoyed learning more about each of the animals in her personal zoo. Her current career choices are vet, zookeeper or farmer so she thinks having a personal zoo (even if it's virtual) is super cool. She currently owns every horse (her most favorite animal) available. What a great way for children to be rewarded, have fun and learn at the same time. In the Milestones area parents can view their children's progress for each of the learning areas. I really liked how detailed this report is. On the first screen (shown above 1st picture) parents get an overall view of the the level their child is at in the program and the various categories they have completed activities in. 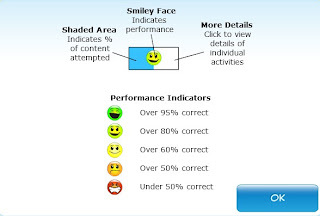 This information is displayed by a blue shaded bar and smiley faces (smiley face indicators pictured above bottom picture). To view more details about the activities you simply click on the smiley face. Within this screen you view the number they got correct and number attempted. You can even go one step further and click on the individual activities to see exactly what the activity needed the child to perform. This is great information for parents to know so that they can go back over problem areas with their children. 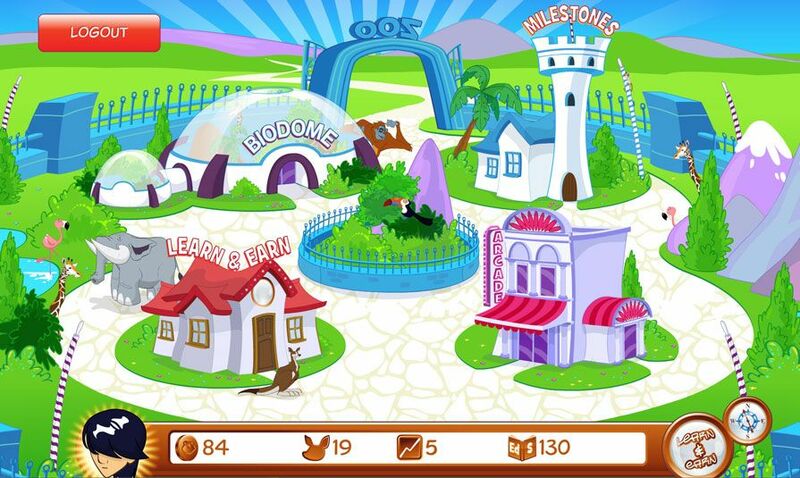 There are so many wonderful activities in the Learn and Earn section of ZooWhiz. To view more activity samples click here. From the parents account you can preset your child's learning age floor for each of the three areas Reading, Maths, Words. That means that children can only access activities at or above the selected level. The activities are interactive, fun, engaging and colorful. There are only auditory instructions in the Reading section so that is the one that my kids worked on the most because I didn't need to sit with them. They are not fond of me looking over their shoulder when they working on their online learning programs. The Maths and Words section will require an adult to read the instructions to the child if they are not reading quite yet. Here are the age level breakdowns. I found these to be pretty on target and neither one of my children struggled with the learning floors I selected for them. Reading: 4-6, 5-7, 6-8, 7-9, 8-10 and 10-15+. I placed Gwyn age 6 at a 5 yr level for Maths and Words and a 6 yr level for Reading. Rowyn age 5 I placed at age at a 4 yr level for all areas. Math is something my children are finally starting to get into more. Last year we mostly focused on learning numbers and we started to explore time and money. This year I really want to get the kids doing more math work so they don't end up not liking math like their momma. 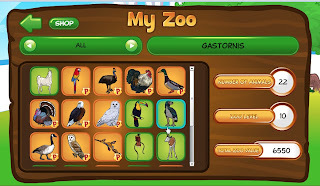 ZooWhiz is a great way to introduce more math in a fun way. ZooWhiz promotes higher-order mathmatical thinking and problem-solving strategies instead of just number crunching. All essential concepts and skills are covered including numeration, addition & subtraction, multiplication & division, fractions & decimals, chance, patterns, algebra, data & graphs, measurement, shape, space & geometry. Reading is an area we are focusing on a lot right now. My one primary goal is to have my children to enjoy reading. If they have fun reading their learning will be limitless. So the reading activities are the ones both kids accessed the most. They also preferred this section because they could do it entirely on their own. The activities were fun and engaging and they would often have fun learning in this area for about an hour. 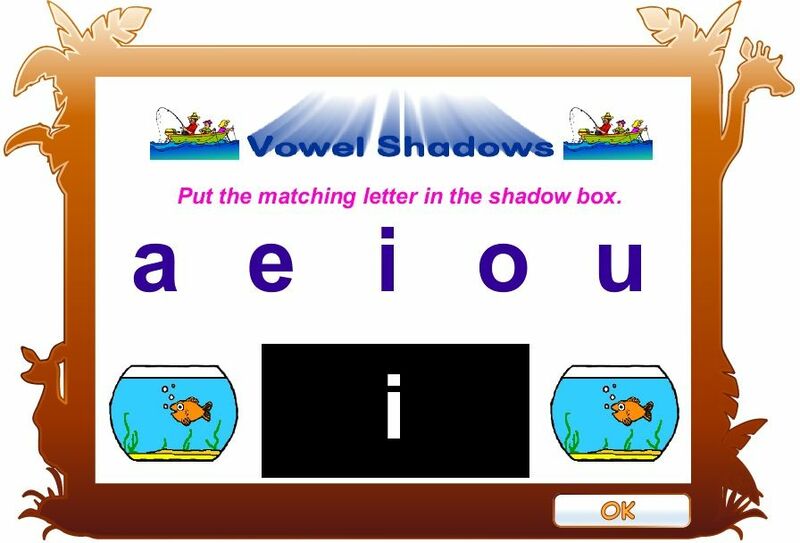 The Reading section uses guided introduction to letters, phonics, spelling and more. It introduces and establishes sound - letter correspondences for all 44 phonemes. And it also covers grammar, punctuation and more. Spelling is not something we are working on too much right now so we spent little time in this section. But the few activities the kids did they enjoyed. In the Words section children learn correct spelling, grammar and punctuation. All essential word skills and concepts are covered including letter tracking, matching, sorting and recognition, preparatory skills for very young readers and spellers, spelling patterns & rules including phonics, prefixes & suffixes, synonyms & antonyms, homophones, homographs, homonyms, nouns, pronouns, adjectives, adverbs, connectives, regular and irregular verbs word origins including idioms, clichés, metaphors, similes, etc, punctuation and grammar conventions. Throughout all the activities children are encouraged by verbal and visual accolades. 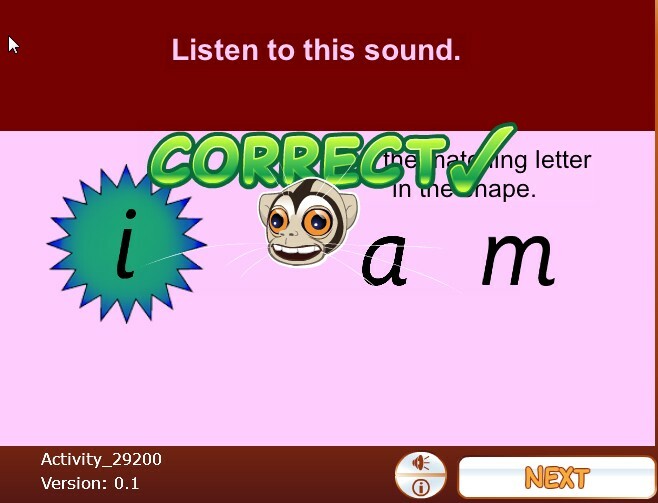 When a child answers correctly a screen pops up with the word correct and a check mark in bright green. There is also a verbal congratulations like sensational, great job, fantastic and my kids favorite crackerjack. When a child gets a question correct they are awarded coins and educational score points. I loved how much encouragement the program provided. Oh they also earn coins each day when they log into ZooWhiz. If a child gets a question wrong there is a pop up screen with the word incorrect and a red x and the child is encouraged to try again. If they get it incorrect a second time the answer will be given. This is where parent interaction will be necessary since the program does not tell the child why they got the question incorrect. No coins or educational score points are awarded for incorrect questions. I did notice that the program will have activities that are answered incorrectly pop up again eventually. After so many activities children will be shown a little progress report. There is also a really cute video which always makes my two children giggle. They also enjoyed seeing the green and red bars showing how well they had done. Another important thing I would like to note are the Ads. After so many questions and typically right before the progress report an Ad from Ed Alive will pop up. There is an option to continue and skip the AD or a child can click on the AD and be taken to the website. I don't like my kids navigating off the website I placed them on so I had to instruct the kids to hit the correct button when they saw this screen pop up so they didn't end up on another website and out of the program. Ed Alive does offer lots of other great FREE games though that are worth checking out. ZooWhiz also allows you to select educational content appropriate to local spelling conventions and units of measure including Australian/British or American spellings, Imperial or Metric units of measure or currencies in $, £ or €. Who doesn't like to have some fun after they learn? But these games are also educational. Children can use their coins to unlock games in the Arcade. Yes you read that right. They cannot play games unless they spend their hard earned coins. One of this mommies favorite parts of the program. My second favorite part is that the games have a timer. So children only get about 3 minutes to play the game. My daughter was shocked by this at first and sort of bummed when she got booted out. But I love it because I didn't have to worry about her only playing games. There are currently 7 games to choose from but more are in the works. Gwyns favorite was Pattycake Panic. And Rowyn loved Bubble Plunge. To see the games in more detail click here. So what do you get with the PREMIUM? Children get a wider selection of animals to buy for their Zoo and they can view detailed information about each of their animals. There are more games available to play in the arcade. Overall I felt that the program is a great, fun supplement. There are really only three complaints I have. One is that the words and math sections do not have verbal instructions The British accent and instructions are sometimes difficult for the children to understand. And the program doesn't automatically progress children to the next level of actives. I feel the current PREMIUM fee is well worth it for this program. My children will continue to use ZooWhiz to have learning fun! Oh and I almost forgot to mention ZooWhiz is compatible with mobile devices that supports Flash. This includes laptops, notebooks, netbooks, Android tablets and Android phones. This excludes iOS operating systems. I tested on my Android phone and it worked great. I love ZooWhiz. I can learn to earn coins to then buy animals and play games. The games are fun. I like the reading stuff. ZooWhiz Keeper is FREE to use but if you want the Premium Zoologist features then a one year membership is currently $14.95. Since there is a FREE membership for ZooWhiz I would suggest to everyone to go ahead and give the program a try. You can upgrade at anytime. You have nothing to loose except for maybe your kids for a few hours while they play and learn. Click here for more ZooWhiz reviews from the The Schoolhouse Review Crew. *Disclaimer - As part of the TOS Review Crew I received a 12 month premium membership for ZooWhiz in return for my honest review. Please note that prices indicated in the post are subject to change. I was not compensated for my review and all opinions are our own! Many of the links found on my side bars and in my blog posts are affiliate links. As a result, I might get paid money and I will most likely spend the money on homeschool supplies.